Longtime queen of my heart Erykah Badu is back in a big way. After putting out a remix of Drizzy’s Hotline Bling and the brilliant But You Cain’t Use My Phone mixtape — which explores the ever-expanding role of phones in our lives — at the end of 2015, she appears to be on a roll. This time she’s back with a remix of Kanye West’s track “Real Friends,” which marks his long-awaited return to music after a two-hiatus of designing raggedy sweatsuits. You can listen to “Trill Friends” below. Let’s hope there’s more in store for us from Ms. Badu! Feministing Jamz: Check out Radio Menea, a Latinx music podcast! Our favorite feminist Chicanx/Latinx band is back with another video, this time criticizing our new administration and its attacks on marginalized people. In “If I Was President,” the band imagines what would happen if brown folks, low-income communities, women, or immigrants had control of our country’s destiny. They would “take from the rich, give to the poor,” free black and brown kids from prison, and invest in free education and public transportation. The chorus of the video (“Me gusta la lima, me gusta limón, pero no me gusta tanta corrupción”) expresses the sentiment felt across the country that in the age of Trump, we must fight corruption which makes the rich richer and steals from marginalized communities. The news I have for you is bittersweet: After 3 years, it’s time for me to say goodbye to contributing regularly to Feministing. But I have some parting gifts! The good news is that you’ll still be able to get some of my fave music picks well into the future. One of my long-distance besties (and Feministing alum!) Miriam Zoila Pérez and I started Radio Menea: a brand new Latinx music podcast! And as a parting gift to you, my dear Feministing readers, I’m coupling my love for feminist jams and my love for Latinx music to leave you with this Latinx Feminist playlist. If the Feministing crew isn’t your #squadgoals, you need to reassess. 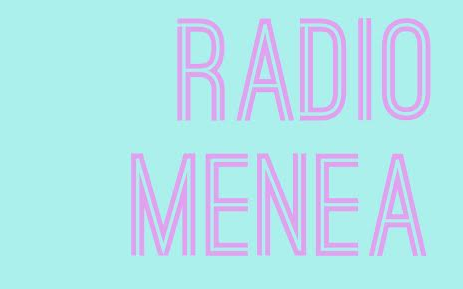 One of our current columnists and creator of Feministing Jamz, Verónica Bayetti Flores, and former Feministing editor, Miriam Zoila Pérez, have teamed up to create Radio Menea!